Travel drawing lightly with paper and pen only. Present a sweet trip on my weary day. 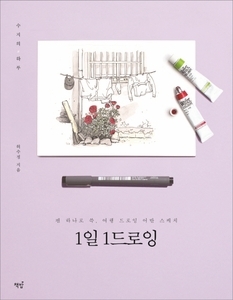 [1-Day 1 Drawing] is an easy-to-understand book that draws from the theory of drawing to actual practice so that illustrator and author Penh author Lee can challenge travel drawing alone. Start with a fun line-up practice and a simple piece-of-the-line follow-up, just as a travel drawing feels difficult or a pen drawing scribbles for unfamiliar readers. I also introduce the order of drawing which is easy to miss one step carefully. If you have a good foundation, you can draw a scene of a trip in earnest. It is easy to complete even if it is a beginner even if the picture is complicated because it contains detailed course cuts. Finally, if you learn how to use my pictures, you can also make products such as coloring books, canvas bags, and T-shirts. 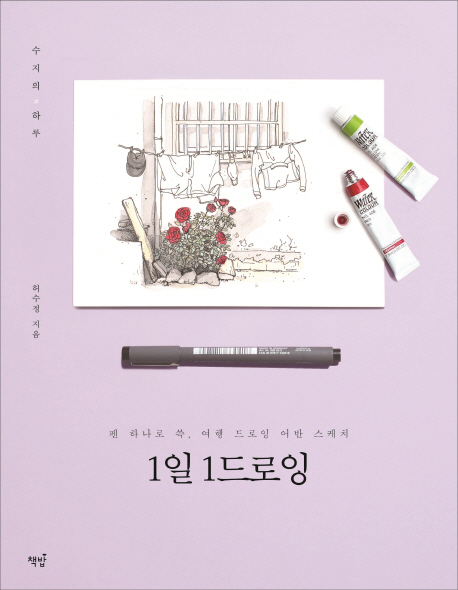 If you have a moment of travel that you want to remember for a long time, let's expand [1 drawing per day]. And let's keep it as a work.